This is a space battle which I came across by accident. One faction was attacking a trading station of another faction, which in return asked for reinforcements. 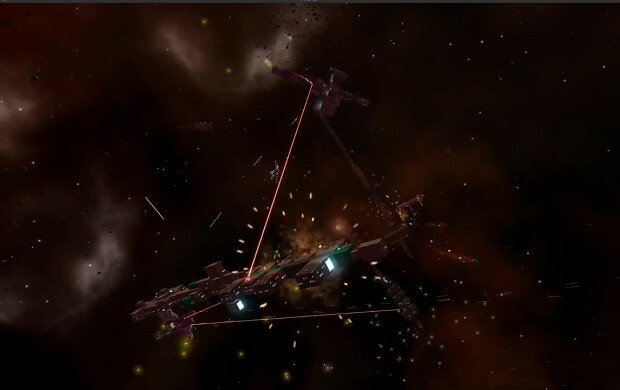 It shows off the combat AI, chainguns, lasers, cannons and lightning guns. Sound is still missing sadly.